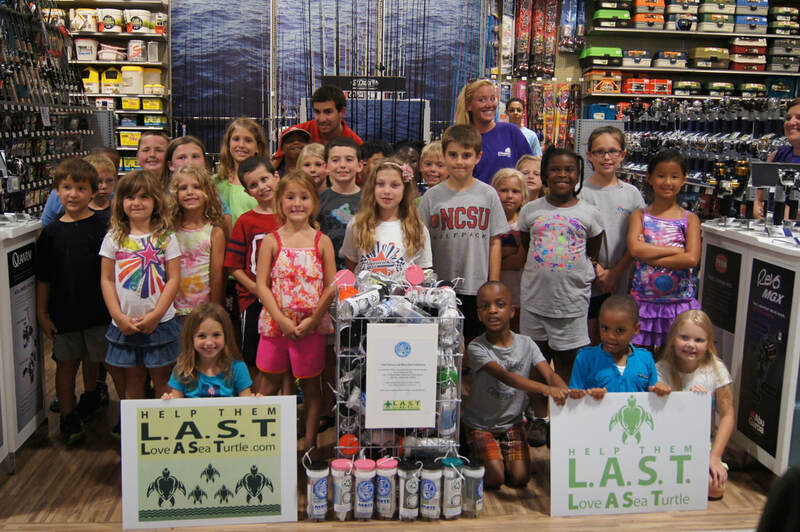 In order to combat the dangers posed by improper disposal of monofilament fishing line, the "Stow It-Don't Throw It" Project was created to mobilize youth to create and distribute personal-sized monofilament recycling bins. These personal-sized bins were designed by scientists at ﻿Mote Marine Laboratory﻿ and the Sarasota Dolphin Research Program after seeing increasing occurrences of wildlife entanglements. They are made out of recycled tennis ball cans. These bins are designed to serve as an intermediate step, for anglers and boaters to safely store their used fishing line until they can later dispose of it in a PVC pipe or indoor recycling bin provided by the Monofilament Recovery and Recycling Program. Personal-sized fishing line recycling bin from the Stow It-Don't Throw It Project. 1. Mobilize youth to work in partnership with environmental organizations to assemble personal-sized monofilament recycling bins. ​2. Utilize the youth participants involved to distribute the personal-sized fishing line recycling bins to anglers and boaters at fishing tournaments, boat shows, etc. and allow them to educate the public on the importance of monofilament fishing line recycling. 3. Engage students in marine debris prevention initiatives and provide them with resources to educate the public on this important issue. ​4. Empower a new generation of youth conservationists with the knowledge, resources, and skills necessary to carry out their own ocean conservation projects and connect young people around the world in a collaborative effort to tackle the threats facing our planet’s marine ecosystems. Check out the map below to see where youth involved in the "Stow It-Don't Throw It" project have already assembled and distributed personal-sized fishing line recycling bins! In addition to these areas, additional youth organizations and partners continue to become involved in this exciting program! ​If you would like to be a part of this effort, visit our Get Involved page for more information! By working together we can protect marine wildlife!